Explanation: The centre of our Milky Way Galaxy is hidden from the prying eyes of optical telescopes by clouds of obscuring dust and gas. 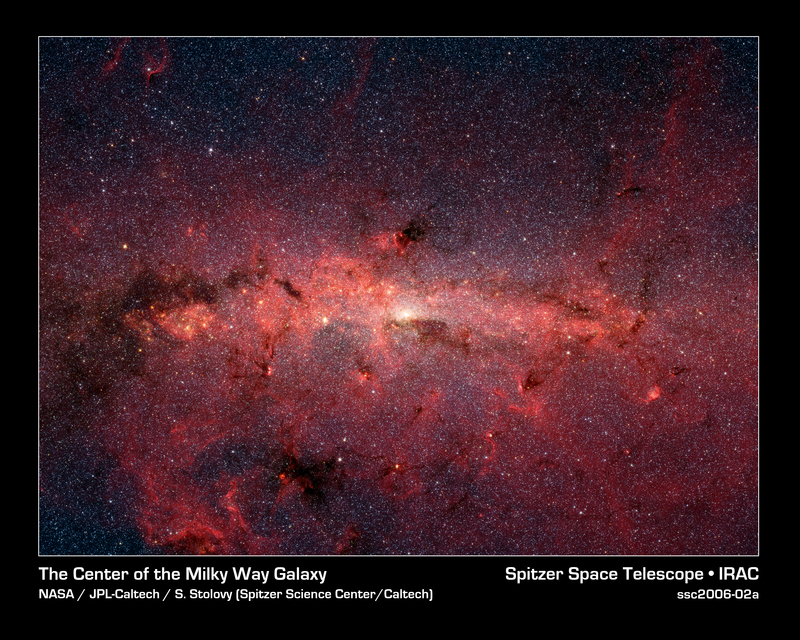 But in this stunning vista, the Spitzer Space Telescope's infrared cameras, penetrate much of the dust revealing the stars of the crowded galactic centre region. A mosaic of many smaller snapshots, the detailed, false-colour image shows older, cool stars in bluish hues. Reddish glowing dust clouds are associated with young, hot stars in stellar nurseries. The very centre of the Milky Way was only recently found capable of forming newborn stars. 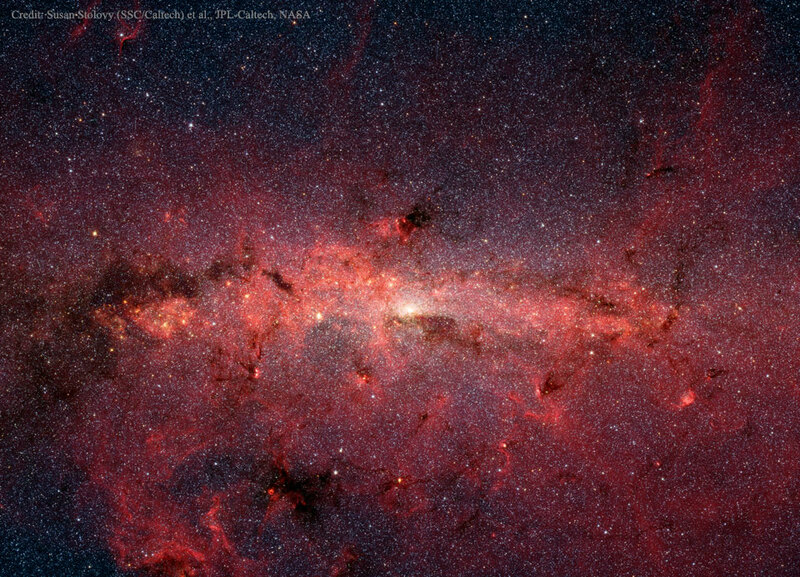 The galactic centre lies some 26,000 light-years away, toward the constellation Sagittarius. At that distance, this picture spans about 900 light-years.